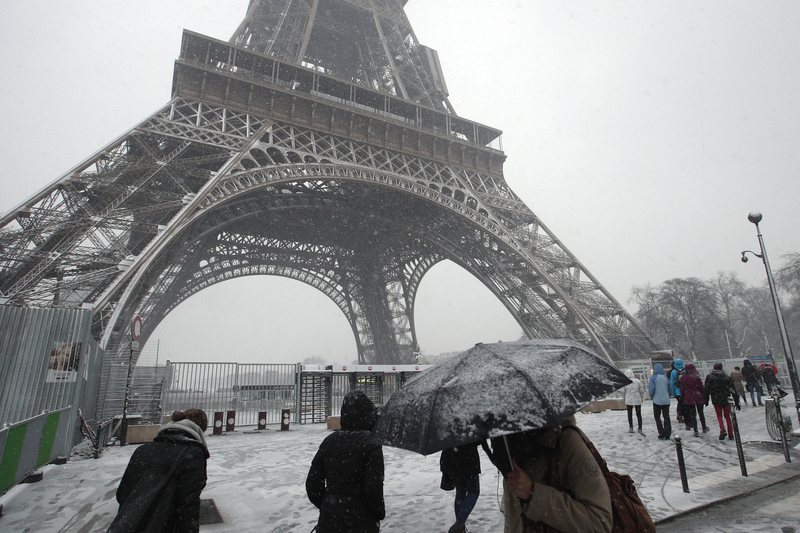 PARIS (AP) — The Eiffel Tower has been closed because of bad weather conditions amid snowfall that has covered the French capital. Visitors had to admire the snow-covered wrought iron lattice tower from the now-white fields covered near the Paris monument, clutching umbrellas as the snow continued all day Tuesday. French meteorologists report that snowfall accumulation in Paris could reach 10 centimeters (about four inches) by the end of the day. Twenty-eight French departments, including eight in the Paris region, have been placed on orange alert over the dangerous weather conditions and ice on the roads. School buses in two regions near Paris won’t operate Wednesday.